Transform the look of your skin with the NuFACE FIX Line Smoothing Device, a pen-sized skincare tool that provides gentle bursts of NuFACE® microcurrent energy to help reduce the look of and prevent fine lines and wrinkles. 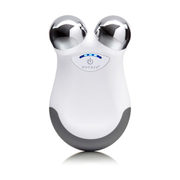 Instantly targeting signs of ageing around the eyes, lips and forehead in just three minutes, the skin-firming device delivers a smoothing and tightening effect to help reduce the appearance of fine lines and wrinkles. Pair with the NuFACE FIX™ Line Smoothing Serum; the first ionic Microcurrent Skincare™ formula, supercharged with active beauty ingredients to help smoothen, tighten and brighten the look of skin.